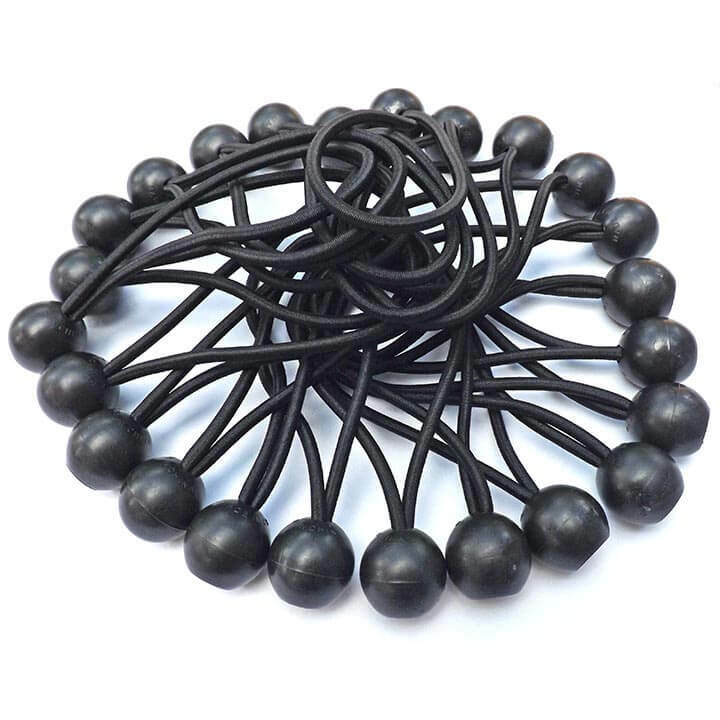 The 6 inch Black ball bungies are ideal for securing tarps to your project. They fit nicely through existing tarp grommet holes, so you do not need to punch holes damaging the tarps. The elastic cord delivers consistent tension along with a firm hold. They come in a package of 25 black ball bungies.